William Bradford had a job no one would want. It paid little, as in nothing, and required much. The work environment was hazardous. The people disorganized. The supplies low. Overtime came with the position but perks did not. Who was William Bradford? He was a pilgrim. 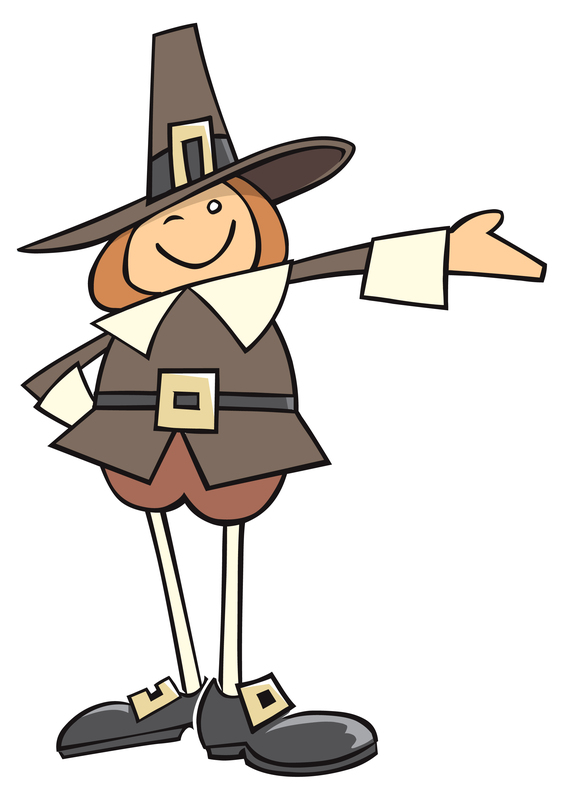 When you think of Thanksgiving, the buckled shoes, the big hat, you’re thinking specifically about William Bradford. He cut the turkey, so to speak. But a meal is not his story. Bradford led a life of danger, sacrifice, and experiment. His journey hard. His life a story not for the faint of heart but strong in spirit. And it’s never been more relevant than at this very moment in your life. On August 1, 1620, the Mayflower set sail with Bradford on board. And that’s where our story begins, too. It was the beginning of a great experiment. There were 102 souls on board, 40 of which were Pilgrims, led by Bradford, fleeing for a place to worship God without threat of imprisonment or death. They were seeking freedom. What they found was a wilderness. Only half of the Pilgrims survived the first winter. Bradford’s wife not among them. They not only had to stay alive, they had to create a new civilization. The elements weren’t in their favor. The famous Thanksgiving meal did eventually happen. And there may have even been a turkey. Probably fish. Historians say no pie, since they didn’t have butter or an oven. But pumpkin probably made a showing, the guts of it hallowed out and filled again with milk, honey and spices before roasting the gourdes to make custard. It was a meal of thanks to God. A meal of bounty shared with their new neighbors. And it was a moment to reflect on the work God had done so far and all the work left to do. Celebrating Thanksgiving is a tradition for most. 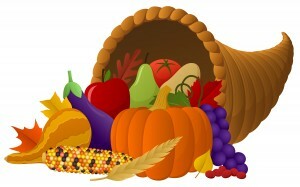 We know the story of the pilgrims and the Indians, the meal and a prayer. We nod at the idea of two cultures eating harmoniously. Then we turn on the football game or take a nap. The most shocking aspect of the historic meal, however, isn’t the meal. 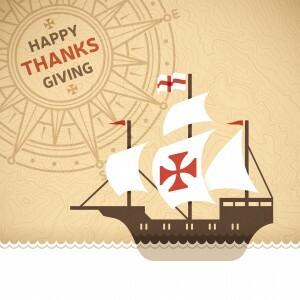 It isn’t even the English pilgrims and native Indians sitting down to feast. Maybe the most shocking part of the whole story is the fact anyone gave thanks at all. Anyone, including, or even especially, William Bradford. Bradford had never had an easy life. As a young child, he was orphaned. His developmental years were spent being tossed from relative to relative. Before he was old enough to vote, at least in this country, he was exiled from his own country. In the Netherlands, he barely survived as a textile worker. Even there, Separatists weren’t free from harassment, many of them attacked with rocks and their tracts destroyed. By 30, he would be on a boat with his wife, forced to leave his four-year-old son behind, and set sail in hopes of living free to worship God. His wife wouldn’t survive the year. He would barely survive himself. Yet, on that historic Thanksgiving day, Bradford would sit with his community and give a heartfelt thanks to God for all He had done. He would thank God for his blessings. Let’s repeat that: He would thank God. Bradford is described by some historians as having incredible stamina and vision. He was versatile, detail driven, and gifted in managing people. These are the personality traits credited for the Mayflower Compact. For helping him shift the failing collectivist form of governance into the free market commerce system. For leading to the successful colony and the Great Puritan Migration. For serving him well as he served the colony for 36 years as governor. He wasn’t born with these attributes. He developed them. Most likely, his c onstantly shifting childhood taught him how to adapt to unstable environments. Maybe always being the outsider in the house honed his people skills. Being alone so early in life may have been what drew him so fervently to a more relational, more intimate fellowship with Jesus Christ. And maybe all his struggles, all that he had survived already, taught him that the hard times are the necessary part of the journey. They teach what is unknown. They burn away what is idle. They sharpen the soft spots. They make us capable of sailing across the ocean, if that’s what life requires, to populate a nation not yet formed. Struggles give us tools. And then they give us the skills, the perseverance, and the wisdom to use those tools. So this Thanksgiving, as you give thanks for all the visible blessings in your life, consider saying thanks for the more hidden treasures – the ones that only look like struggles.